U.S. Uses Chemical Weapons in Iraq? For years, I have been writing about the American use of chemical weapons in the savage assault on the Iraqi city of Fallujah in late 2004. The results of this deployment of WMD began emerging a few months later. The clear evidence of chemical weapons damage among the civilians of the city — uncovered by Iraqi doctors working for the American-backed government — was scorned and dismissed at that time, including by many stalwart anti-war voices, apparently frightened that such “extremist” charges would somehow detract from their own “reasonable” opposition — perhaps even cost them their perches in the mainstream media. 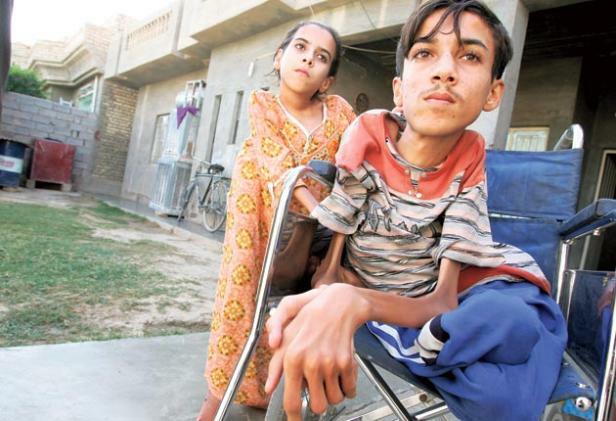 In any case, the evidence of American WMD in Fallujah kept mounting, year after year, until finally, in mid–2010, even the BBC’s most respected voices were reporting on the effects of the chemical weaponry — primarily on the children of Fallujah, some of whom were not yet born when the attack was launched. Even without the WMD, the attack itself was one of the most horrific events of the still-unfolding act of aggression in Iraq. Presented in the U.S. press as an old-fashioned, gung-ho, WWII-style “battle,” it was in fact a mass slaughter, largely of trapped civilians; almost all of the “terrorists” and “insurgents” in the city had long escaped during the months-long, oddly public build-up to the assault. It seemed clear that the intent was not to quash an insurgent nest, as stated, but to perpetrate an act of condign, collective punishment — primarily against civilians — in order to terrorize the rest of Iraq into submission. Click this link to read the complete article. All American’s are responsible for what their military does and here is a good example laid out in spades for everyone to see. The question I ask is, “Who were and where are the embedded reporters of this battle?